At long last, we are seeing the rumored iPhone 6 that has sparked expectations for a large-screen model since the buzz broke early this year. 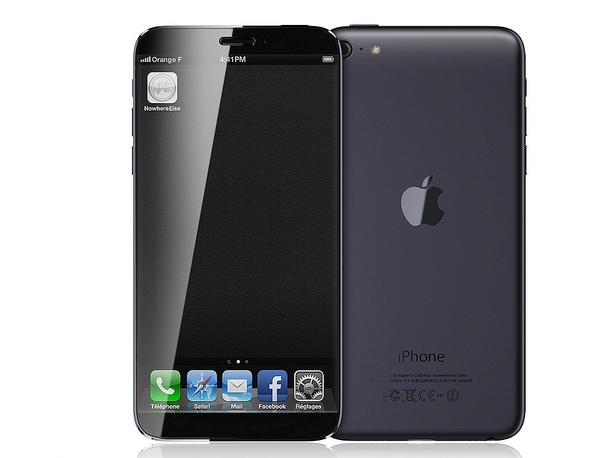 Analysts from Citi Research forecast that the iPhone 6 will sport a 4.8-inch screen and will be launched in the first quarter of 2014 while the iPhone 5S is expected to retain the iPhone 5’s screen size and will hit production lines in September. Apple looks to be preparing for some big announcements later this year and in early 2013. First off, there’s the iPhone 6 that seems well groomed to compete in the cutthroat screen race with other smartphones that have taken on larger displays, not least the Samsung Galaxy S3 and S4. Meanwhile, the much expected iPad 2 Mini with Retina display might be pushed back until October due to some production troubles befalling its display. The delay isn’t likely to affect the launch of the iPhone 5S, but Citi analysts are seeing a limited production of the smartphone. Whereas we had been expecting a new iPad 5, iPad Mini 2, and iPad Mini Retina in, we now believe that iPad Mini Retina has been delayed until late C4Q13 or C1Q14. This puts the emphasis on the reduced-price iPad Mini 2, ostensibly to better compete with the plethora of low-priced competing tablets, but creating some risk to 2H13 iPad revenue estimates in the process. The pricing is also a bit more convincing. The next-gen iPad Mini is likely to be priced between $230 and $250, which is seen preceding a Retina version that will have density of 2,048×1,536p. Earlier reports claimed production of the Retina display version would kick off in July, while other pegged the schedule for November. But Citi predicted assembly of the iPad 2 Mini will start by the third quarter. Meanwhile, Apple is reportedly working on a 9.7-inch next-gen iPad (iPad 5 as it is dubbed), which rumors claim will sport features not far from that of the iPad Mini, including the slim shape and lightweight. However, a higher-end resolution for this tablet dims given the debacle over talks between Apple and Intel for a 22nm design. If there could be discussions regarding hardware, there is only likely a chance that the focus will be trained on the new Macbook. And in light of recent insinuations by Apple CEO Tim Cook, the smartphone giant might give developers access to its API any time soon. That means a lot of improvements to the iCloud, Maps, and Siri could come our way.